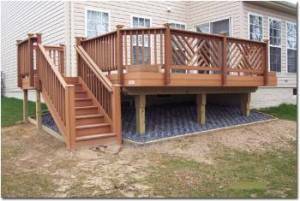 Most decks designs are based on a number of posts that rest on concrete footings or are imbedded in concrete and in turn these posts take the weight of the deck, as shown in Figure 1. Each structural member of the deck is designed to take weight and transfer it through connection to the ground. 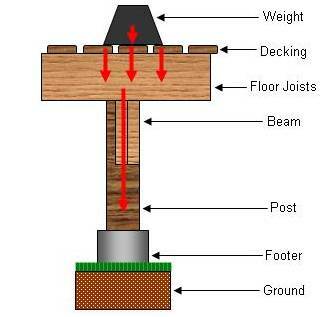 The decking material, takes the weight of the people and items that are on the deck, this weight is transferred to floor joists, which in turn transfer the load to the beams which in turn transfer the load to the posts which take the load to the ground, as shown in Figure 2. The method employed to join the joists to the beams and the beams to the posts makes a big difference to the structural strength of the deck and as well, its longevity. 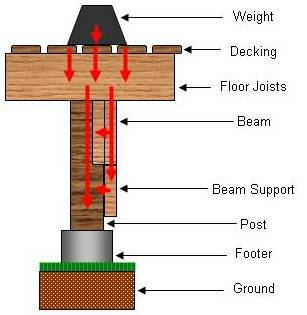 The best construction method is to have beams sitting on the posts and the joists sitting on the beams as shown in Figure 2 above. Looking at a side view of the same figure, the lumber would be notched as shown in Figure 3 below. Although the aforementioned construction method provides the best possible support, there are some variations that can be utilized. You can notch the post so that only one of the beam members is actually resting on the post and the other is bolted to the first beam. 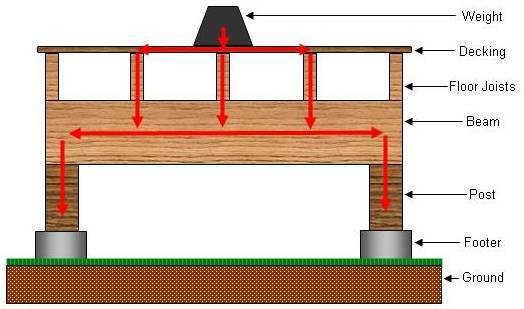 Adding a support that is well fastened to the beam increases the strength as shown in Figure 4. 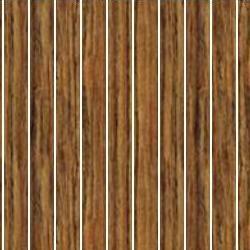 If you are using pressure treated lumber remember that pressure treated lumber is saturated with copper. The use of most dissimilar metals will cause galvanic corrosion. Use stainless steel joist hangers and stainless steel fasteners to connect joist hangers to pressure treated lumber. Stainless steel fasteners should also be used to connect decking to any pressure treated floor joists.